This post is not sponsored however we were hosted by FlyScoot (flights) and Club Med Kani (Maldives Accomodation) and Ibis Bencoolen (Singapore Accomodation). Singapore offers so much more than a convenient airport to transfer from one flight to the next. 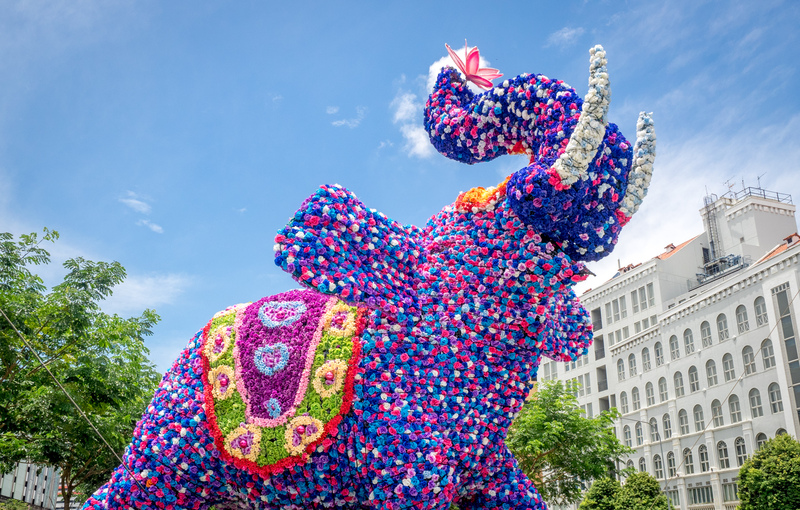 This Asian city blends diverse culture with modern attractions in a unique way and it is family friendly! We have just returned from an amazing 7 day holiday via the Maldives and we decided to spend 2 nights in Singapore to explore this amazing city. This time I was travelling without kids but my intention was to check it out for a future family holiday and I am sooo going back! Overseas travel can be much more affordable than you think too. We flew with Scoot who are a great budget airline flying out of Singapore to Australia. All of their flights have to go through Singapore so there are lots of options and their fleet of planes is very modern. Scoot are a part of the Singapore Airlines family who have an excellent international flying reputation and record. They fly to more than 60 destinations including many Asian and European destinations. 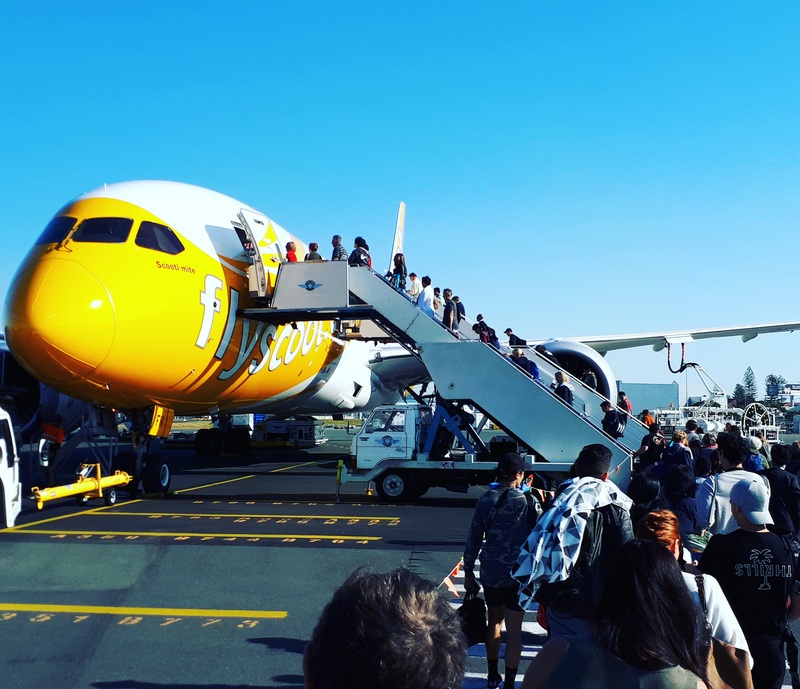 Flying Scoot to Singapore … modern planes, great service and super affordable. 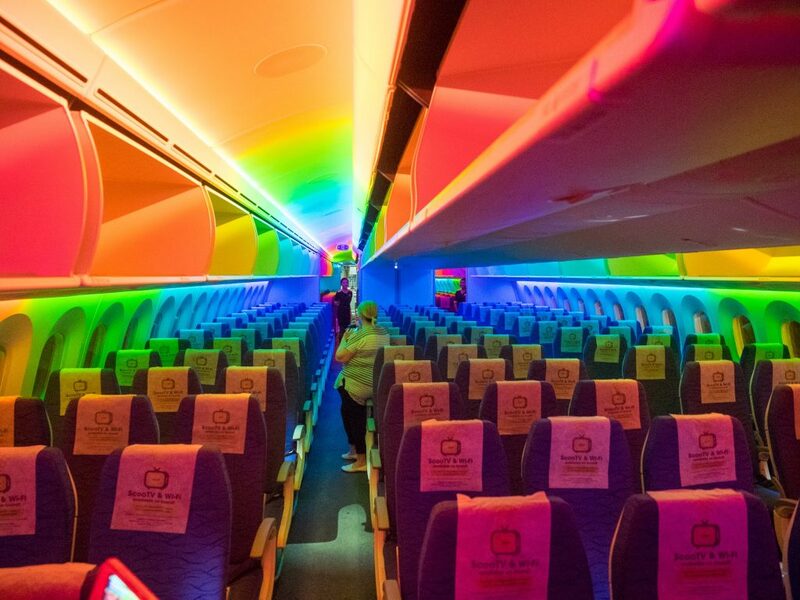 I am a big fan of budget airlines because I only have to pay for what I want … I add baggage for a few passengers only, and food and entertainment when needed. Flying to Singapore can be less than $200 and that is cheaper than many domestic fares. 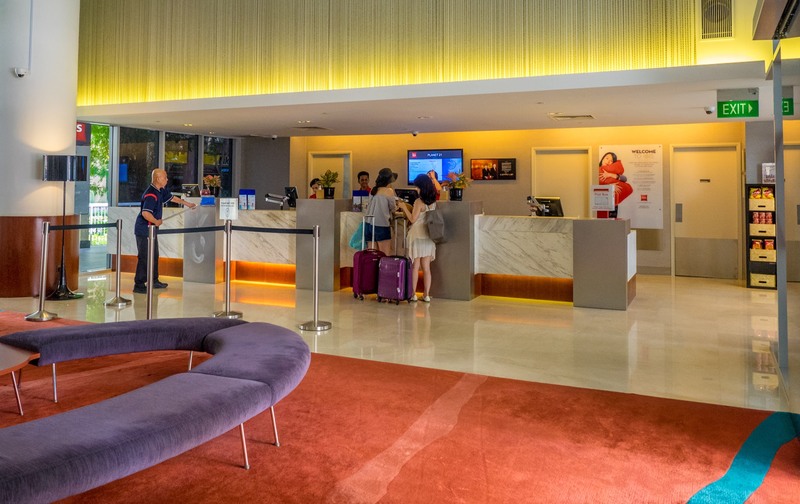 We arrived in the early morning and grabbed a taxi to the Ibis Bencoolen which is a modern hotel (part of the Accor chain) in a more traditional part of town. This proved to be perfect and they were super helpful storing our bags until a room was available. Prices were comparable to Australia and we were able to enjoy fast free wifi, delicious breakfast and another amazing feature. This hotel gave many rooms your own local mobile phone to use while you were in staying with them and it had mobile data and calls available. Literally we could take them out around town to stay in touch, call home or use them to navigate with Maps apps on them. 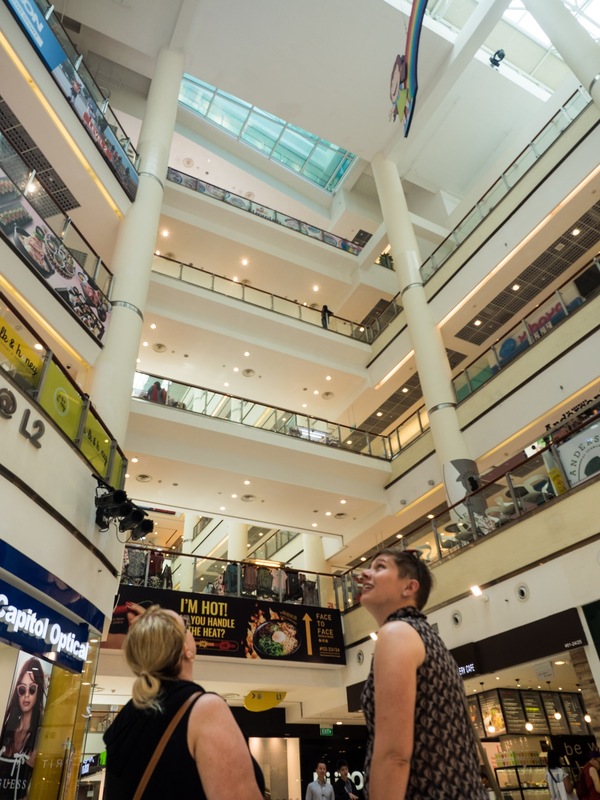 We even posted to our social media when exploring the city … such a great idea! 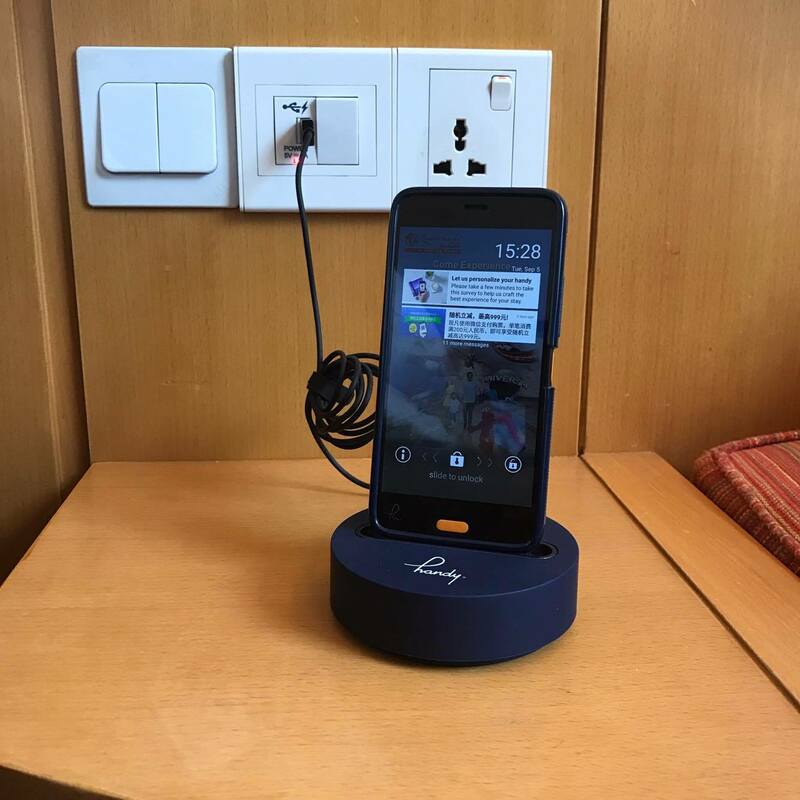 Phone with calls and data to use during your stay … awesome! There is an amazing public transport system in Singapore and it is very affordable. The buses stopped right outside the hotel including the open top red tour bus which is a great way to get orientated in most cities. As we were with a large group and had limited time, we used taxis quite a bit and they were surprisingly cheap. Uber is also an option if you prefer. My kids are into their pre-teen and early teens and so I am wanting to expand their cultural horizons a little to help them to understand more about how large and diverse the world is. We can do that at home in Australia but it is nice to get overseas too. 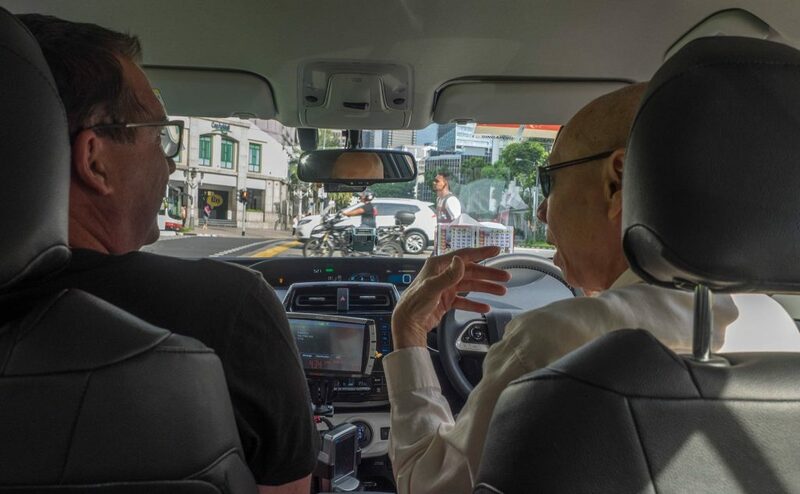 Singapore is a great place to start to explore this without having to deep-end them into a developing country (not that we wouldn’t do that haha) … I like the middle ground as a great introduction. 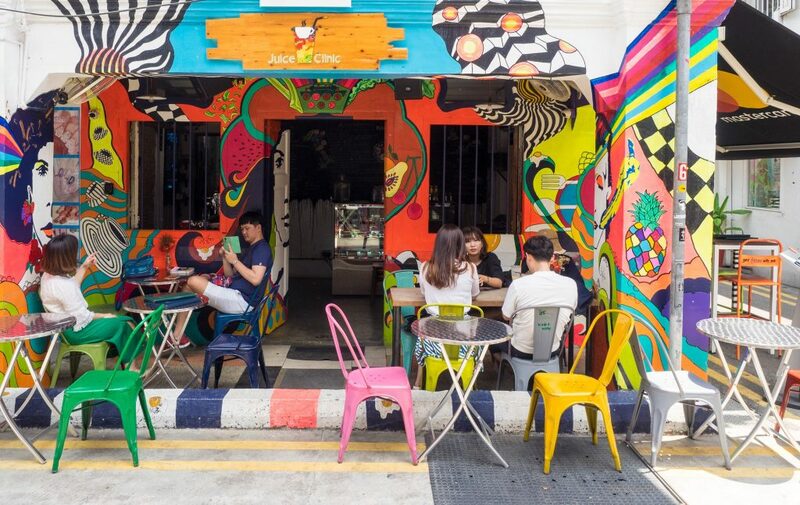 Singapore has very large and vibrant cultural precincts where you can go to experience slightly different foods, styles, religious backgrounds and more. 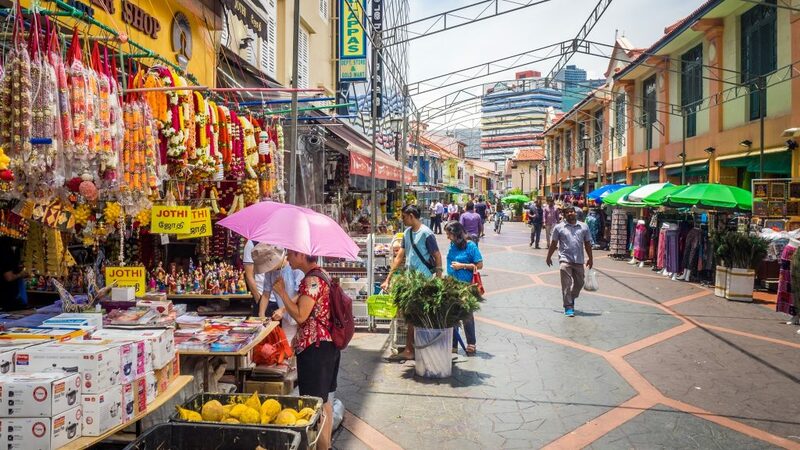 We visited Little India as well as some Chinese and Middle Eastern influenced areas and I swear you could imagine yourself to be in those countries as you walked the streets and alleys. A local qipped that eating is a national past-time in Singapore and I can see why. 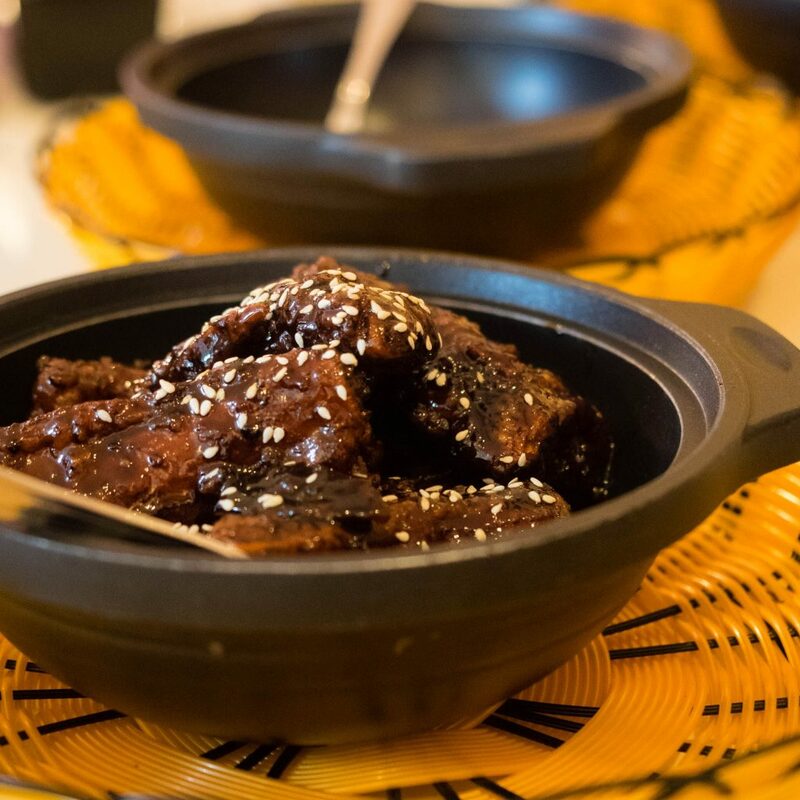 WIth all of the cultural influences and the entreprenurial flavour, there is no end to the places to buy great food. 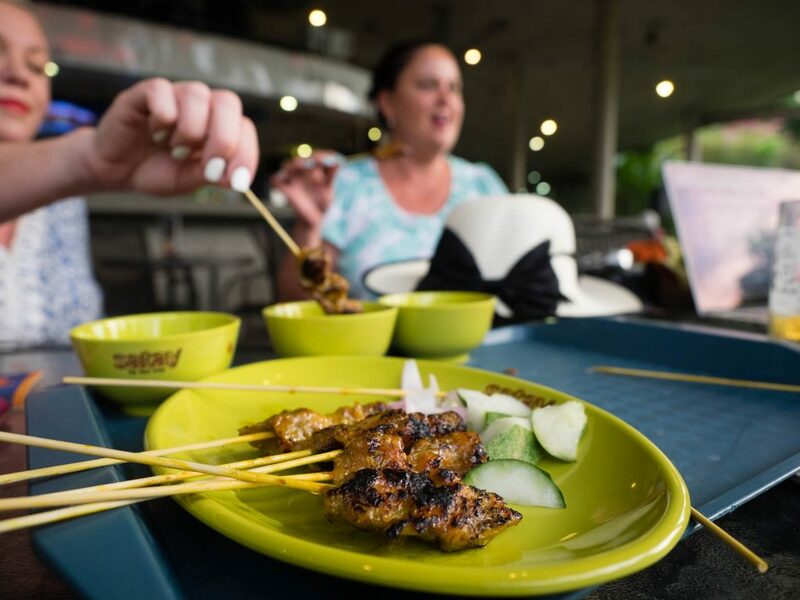 We ate in fine food restaurants, bars and hawker centres which are a kind of huge food court with hundreds of small food outlets and a communal seating area. On the whole the food was excellent though eating Stingray was about as adventurous as I could manage this time (it is less fishy than I expected … a muscular stringy white meat). Generally street food dishes were under $10 and perfect to buy a few between your group. Simple noodles bowls were as cheap as $4-5. 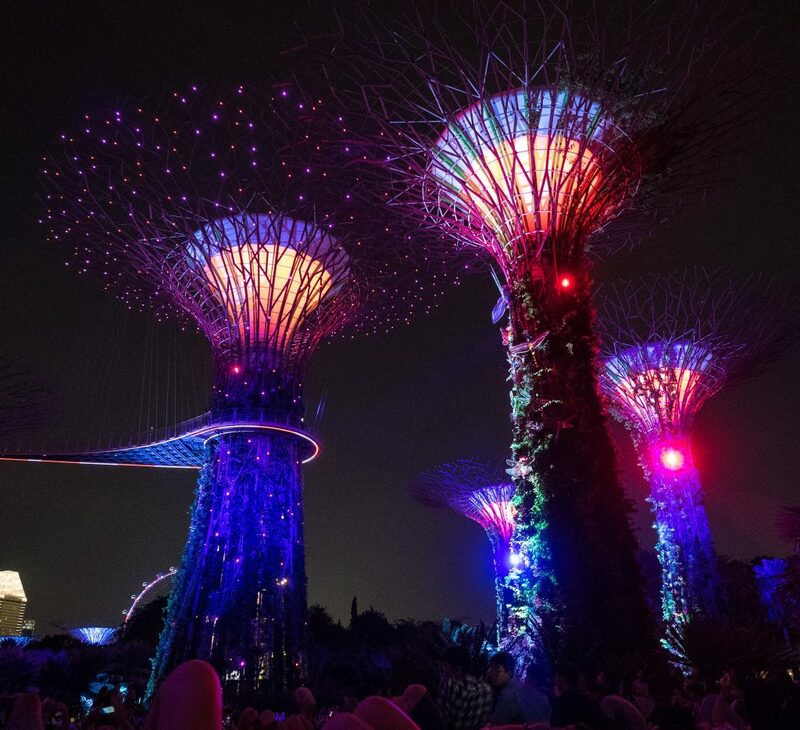 Singapore has so much to do with a range of theme parks, an island resort/entertainment district (Sentosa), more shopping than you could ever manage and the wonderful Gardens by the Bay which is definitely a go-to location. Each night the huge Supertree Grove lights up with a great music and light show which is amazing and kind of like fireworks without the noise. 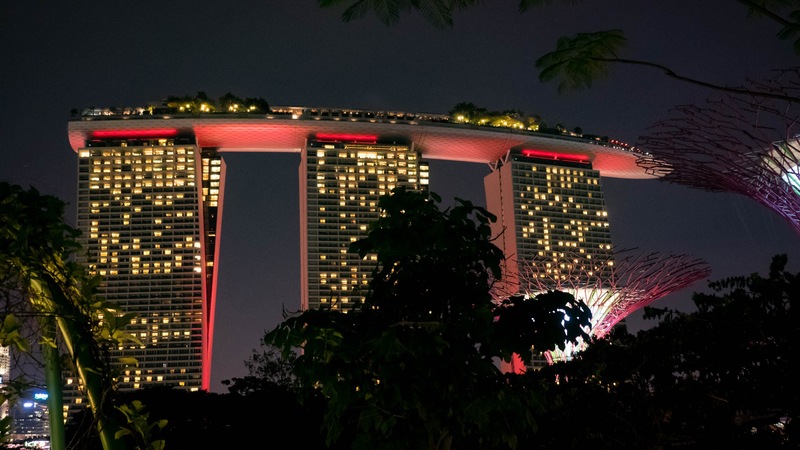 The amazing Marina Bay Sands looks amazing from the ground but is worth a visit to see the infinity edge pool and bar along the top. The Formula One is coming to town in a week and it will be a great party whether you are into the racing or not. The track is around the bay area and there are huge concerts and more as a part of the event weekend. I can’t wait to get back to Singapore with the kids and to explore the city sights, tastes and entertainment with them. You should check it out too as a possible destination for you and the kids. As far as overseas holidays with kids go, Singapore is a great first trip to experience travel and culture in a safe and controlled way.